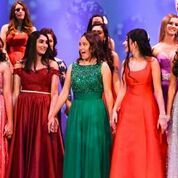 Glittering dresses, make up, poise and prestige filled the stage as cheers rang around the Poway Performing Arts Center. 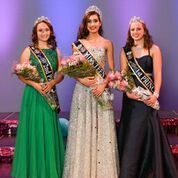 The Miss Poway Pageant occurred there on March 30, and MC sophmore Sophia Dahlen was crowned the Second Teen Princess at the competition. At first, Dahlen didn’t expect a tiara. She joined the competition in honor of her late grandmother, who had dreamed of seeing her grandchildren on a pageant stage. With the memory of her late grandmother pushing Dahlen forward, she tried to focus on all aspects of the competition. 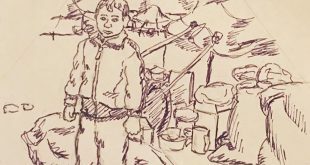 Her hopes to win were outweighed by her desire to learn, grow, and honor her family. Dahlen’s smile shone confidently throughout the event, on par with the sparkling dresses of her competitors. She was also crowned Miss Photogenic by MC’s very own Don Sheffler, the photographer for Miss Poway. However, Dahlen left the stage with more than a smile and a few awards. “[Miss Poway] has made me so much more confident in my own skin and helped me set up my future with the skills I’ve learned,” Dahlen said. Dahlen hopes to become a role model for the young girls in the Poway community. She dons the tiara with grace and intelligence, always looking forward to a bright future. With a positive attitude and a spring in her step, Dahlen will move forward as a role model for the community. Tiara or no tiara, she is a princess inside and out.